Seven Skolkovo startups are taking part in this year's Mobile World Congress Shanghai. Photo: Sk.ru. 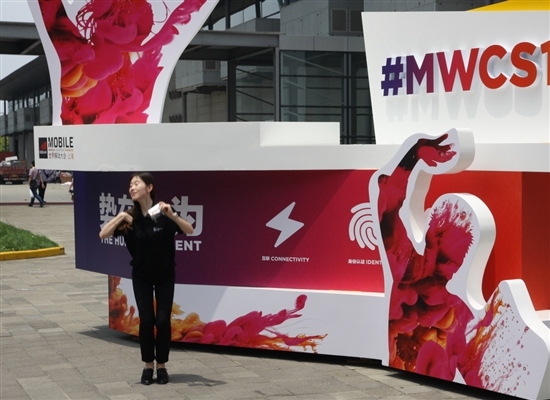 This is the third time Skolkovo startups have taken part in MWC Shanghai, which bills itself as the biggest mobile event in Asia, covering areas from artificial intelligence and automotive technology to devices and Internet of Things. “This year, our exposition is focused on service platforms and artificial intelligence,” Maxim Zharenov, acceleration director within the Skolkovo Foundation’s IT cluster, told Sk.ru. The Skolkovo startups are presenting their innovative products and solutions at a stand co-organised with the Russian Export Centre, a state development institute aimed at helping non-commodity exports. More than 60,000 people from 100 countries are expected to take part in MWC Shanghai.